You’ve probably heard about LED lights mostly when it concerns flashlights or other more practical applications. And this is true that LED lighting has a lot of practical applications because of the longevity and durability of the light. However, there are so many more options when it comes to LED lights. And one of those options is when it concerns the decorations and design of your home, office-space, or any other spaces. 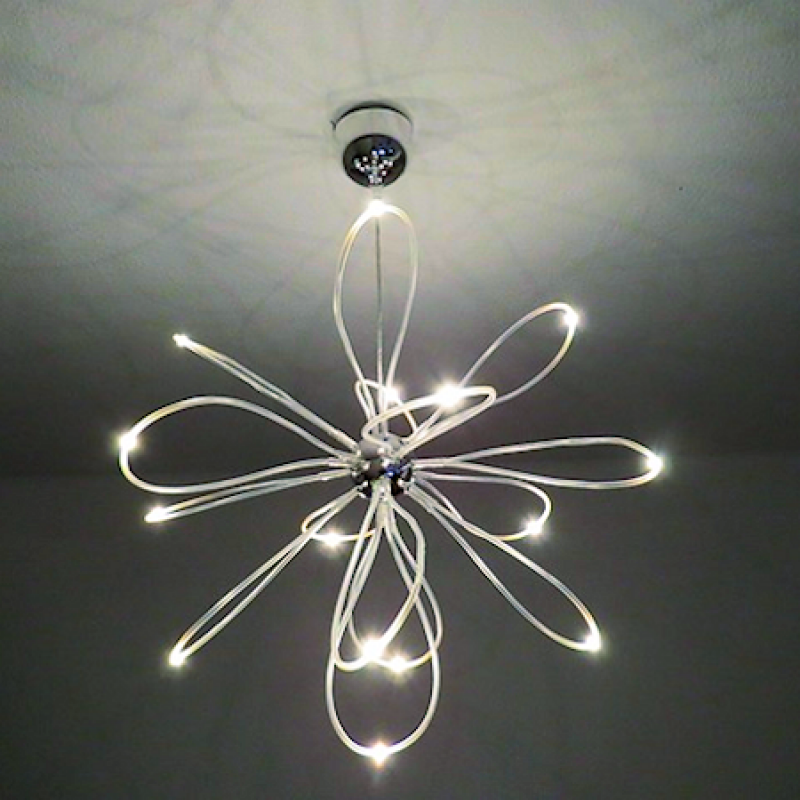 Even though LED lighting can be a bit more expensive than regular lights, there are some really cool and innovative things you can do with them. So, if you’re thinking about adding some new lighting fixtures, read down below to get some ideas of what you can do with LED lights. One of the top ways that you can use LED lighting in pretty much any room is by making them into recessed fittings. Recessed lighting is a great way to give any room a little bit more depth and personality. However, replacing the bulbs on recessed fixtures can be a bit awkward. That’s why LED lights have long been a way to get around that problem because of their longevity – you just don’t have to replace them as often. You can add LED lights under your kitchen cabinets or behind mirrors in your bathroom. The options are pretty much endless with recessed lighting! LED lighting looks great in any room, but it’s especially useful when you’re trying to spruce up your kitchen. There’s something about LED lights that gives your kitchen a more modern and sleek look than if you just used traditional lighting units. Plus, there’s nothing that looks worse than a kitchen flooded with bright, white lights. For example, you can add LED lights, like those from LumiGrowth, under your cabinets mounted on the wall to give your countertops a bit of light. Or you can install them below near the floor to give the room a soft glow. LED lights are a great way to spruce up your dressing room or walk-in closet in a way that traditional lights just can’t. Especially when you’re trying to pick out an outfit, you don’t want to choose the wrong piece because it’s bathed in a weird light from a yellow lamp. Be sure to get some LED recessed lights into the closet for a whole new experience when you’re choosing your outfit for the day. One of the best parts about using LED lights is the fact that you can change their lights to various colors. Usually, LED lights will come in a single color so you can best use them in colors that compliment your home. Be sure to take into account what kind of style you’re going for in the interior of your home before you invest in colored LED lights. The last creative way that you can use LED lighting is by installing them behind your TV. Sometimes the wall where your TV could use something more, but you can never seem to figure out what that is. When you install lights behind your TV, it suddenly gives your wall much more depth than you had before. And the great thing is that these types of lights are pretty easy to install! These are the top creative ways that you can use LED lighting in any space you’re trying to decorate. LED lights are not just great because of their long life-span and durability! They’re also useful for adding depth and personality to any room. Try them out and let us know what you think. Double Glazed Windows Cost | Is It Worth It?